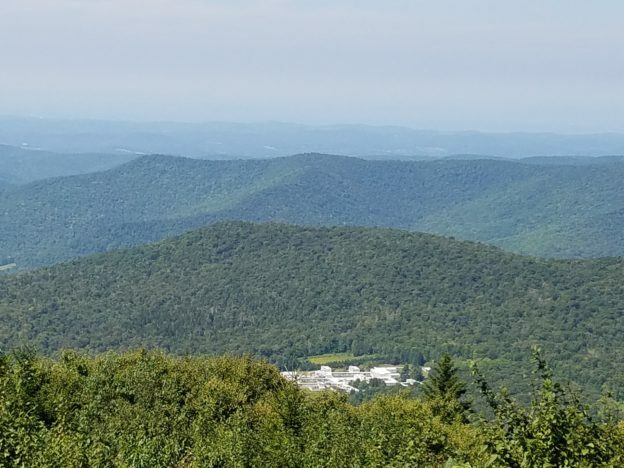 If you know someone who loves the outdoors, you’ll certainly want to consult our Vermont shopping suggestions because we live for the outdoors. Winter and summer. Whether we’re skiing or boarding the peaks or kayaking the rivers and lakes, Vermont and “the outdoors” are inseparable. Here are some of our ideas for those on your gift list that are real outdoor enthusiasts. Do you know someone who loves biking and can’t get out as often as they’d like during winter because of the snow? It’s for someone like this that the sport of fat biking was invented. Fat bikes have wide tires with heavy treads, perfect for tackling the snow. With miles and miles of cross country ski trails in Vermont, the sport of fat biking has really taken off. 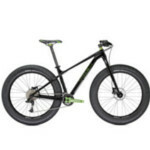 For a $60/day rental fee from Battenkill Bicycles in Manchester, you can give someone the fat bike experience! For a totally different kind of outdoor experience, give a 2-hour snowmobile tour as a gift. With over 5,000 miles of well-marked, groomed trails, snowmobiling is a huge sport in Vermont. For someone who loves being outdoors and has a huge sense of adventure, taking control of a snowmobile is the ultimate thrill. 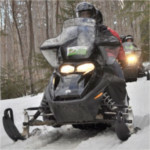 Snowmobiles can be rented many places in Vermont, but we like the 2-hour guided tour offered by NEK Adventures of St. Johnsbury for $149. Anyone on your list a fanatic skier? A “head to the slopes every weekend” type of skier? You can give the gift of a season-long discount at their favorite mountain. Many of the Vermont ski resorts offer some version of a discount program. For example, at Smugglers’ Notch Resort the Bash Badge Adult discount program guarantees lift tickets at just $25 a day all season long. Or pay only $15 for a half-day, afternoon lift ticket. You can purchase the Bash Badge for only $139 online. 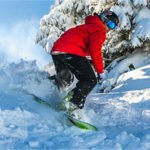 Check out the special deals available at some of the other winter ski resorts, too … Bromley, Stratton, Okemo, or Magic Mountain. Another way to make your skier happy is to give the gift of lodging in ski country. Many of the resort properties offer special “ski and stay” packages. We like the offer from The Green Mountain Inn in Stowe. Their package includes one night’s discounted accommodation and one day lift ticket to Stowe Mountain Resort. The winter mid-week rate starts at $145 per person, per day. If your outdoor enthusiast is more a summer lover, Vermont has you covered there too. 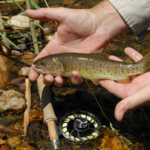 How about a fly fishing rod from Orvis, one of the world’s most respected outdoors stores. Fly fishing is an art developed hundreds of years ago with literary references as early as the 15th century. The perfect outdoor activity for the fisherman who is looking to try something new or the outdoor lover who is intrigued by the art and skill required. Orvis even runs tutorials on fly fishing basics for free in Manchester. The Orvis Encounter Fly Fishing Rod is $169, and can be purchased in store or online. 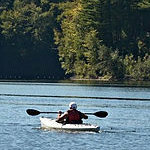 Another way to enjoy the water in summer is to board a kayak and head out to explore a river, lake, or pond. Kayaks are popular because they are small enough for easy transportation. Is there someone on your list who’s wished for a kayak? Check out the Elie – Shoal 100 Kayak available at Umiak Outdoor Outfitters located in both Stowe and Burlington. This one-man kayak retails for $499. Umiak staff can answer all your questions including the best places to paddle. Outdoor enthusiasts don’t spend every minute on the go. Whether it’s spending the night in an out of the way location in a tent, or resting up for the next day’s skiing, there is a lot of quiet time too. How about a good book to help fill the time? Head to Bennington Bookshop in Bennington and browse. Not sure what to choose? The staff is happy to make recommendations. How about a Vermont favorite – the latest mystery by native author, Archer Mayor? 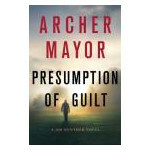 Presumption of Guilt in hardcover for $25.99. Buy in store or online. Whether snowshoeing through the woods or watching the stars from a tent or even sitting on the couch at home, snacks are always welcome. 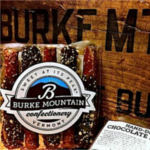 Burke Mountain Confectionery in East Burke, Vermont, makes yummy treats in the Vermont tradition – using only the best ingredients and hand-crafting in small batches. We think any outdoorsman would love the hand-dipped chocolate pretzels ($4.95) at the end of the day. Order online. There are a lot of ideas here, but if you’d like to see more, check out Vermont.com’s Shopping & Products page, or our Holiday Shopping Guides for Northern, Central, and Southern Vermont. You are sure to find even more suggestions to make your holiday shopping effortless and your recipient’s holiday wonderful. This entry was posted in Activities, Now Trending, Play, Shop, Stay, Things To Do, Uncategorized on November 7, 2016 by Linda Warner.